Remis spares and products are renowned for their high quality. For over 40 years REMIS has been using engineering know-how and creativity to develop intelligent solutions and to convert these into functional and attractive products. Here at Leisureshopdirect we sell a wide range of the Remis Rooflights, Remis Rooflights and Remis Spare parts. 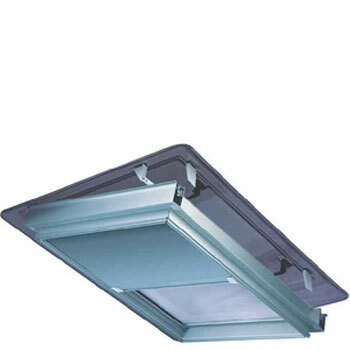 Remis UK caravan rooflights are a simple solution to interior lighting problems which look really elegant. If you go away in the winter months, making the most of natural light is particularly important, so boosting the amount of light getting into your caravan with Remis caravan rooflights is a sensible option. The REMIstar roof window can be opened steplessly to an angle of 45 ° just at the press of a button so it takes away the hard work and creates a more relaxing holiday. It also has a safety interlock preventing damage at opening. 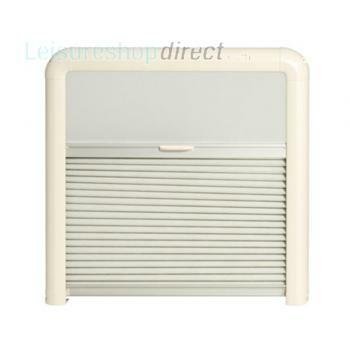 Look here, Remis Remistar Rooflight for more details or Remis Spares for this design of rooflight. Remis UK also make very popular motorhome blinds. They offer a high degree of darkening, with an attractive design and the structure of the profile system takes up a small amount of the valuable space in the motorhome. There really is a huge variety of choice when it comes to Remiblinds, so look here, Remis Blinds to see what blinds you will need for your motorhome. If you find overuse or an accident has broken your blind, Leisureshopdirect has a fantastic system of exploded diagrams that enable you to easily locate which of the Remis Spares you need to get your blind fully functioning again. For example if you owned a Remis REMIjoy II blind and you didn’t know the technical name for the broken part, you could look it up here, Remis REMIjoy II spare parts to find the code for easy ordering. We have a huge number of exploded diagrams on Leisureshopdiect to help our customers find the spare parts they need.